You may not believe it but MTB is not only enduro (hope it was!) 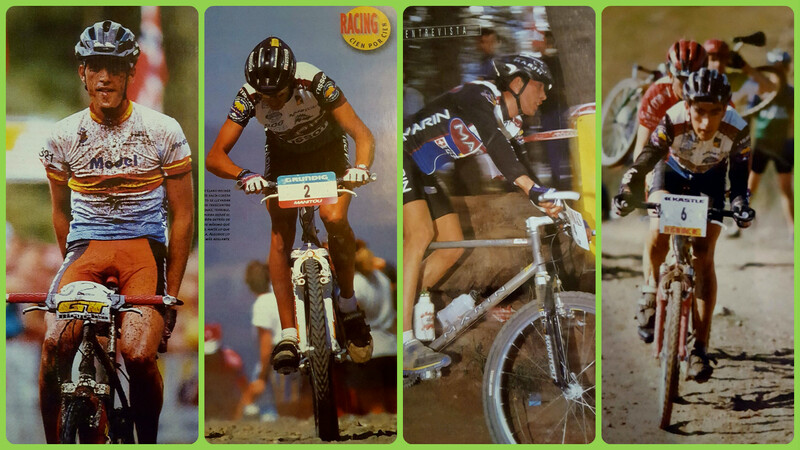 and in fact, the most practiced discipline is cross contry, on its all competitive variants XC, XCO, XCM, XCE, etc. Not all of us like to go down on extreme technical trails or walk for hours looking for the promised best downhill trail. For many, is enough to go pedaling for some hours, or days even, with lightweight hardatils or full suspensions with small travel. The harder is the climb, the most they enjoy it. From this bunch of crazy guys in Ojen village there are couple of them, that on the lates 90’s and early 2000’s where part of big teams and won more races that we can count. Let’s get to know one of them, José “Quillo” Márquez Granados. If you have less than 30 years maybe that name doesn’t ring a bell. Who is Quillo Marquez? What kind of racing used to do? Let’s check his track record so you can have a brief look to what he has accomplished. 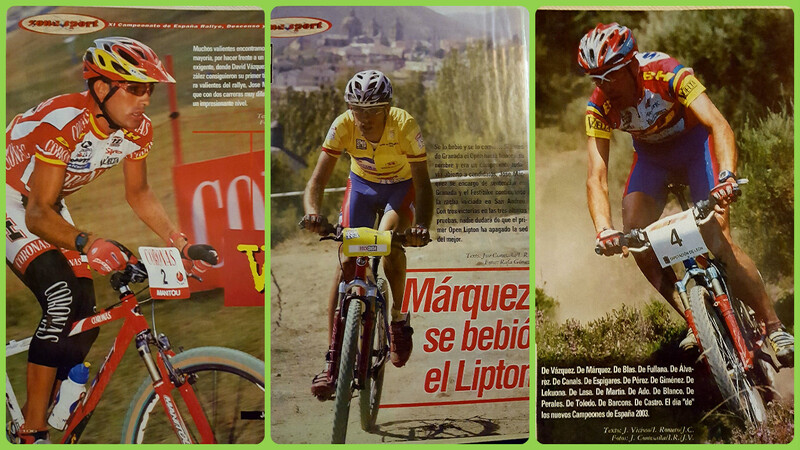 And just recently, after a successful comeback, Spanish XCM champion 2011, 2015 and 2016 on Elite category, after winning last time in 2003, some time flies indeed. Yari: Who is José “Quillo” Marquez? Where are you from, where do you live? Quillo: A bycicle lover, I’m from Ojen and still live in Ojen. Yari: Why that nickname “Quillo”? Do you remember who used first? Quillo: Well “quillo” is often used in Malaga, Cadiz and some other andalucia areas to refer to any person. When I was abroad I used to call everyone as “quillo” as I’m not good remembering names. Media noticed that and started to call me by that nickname and it sticked. 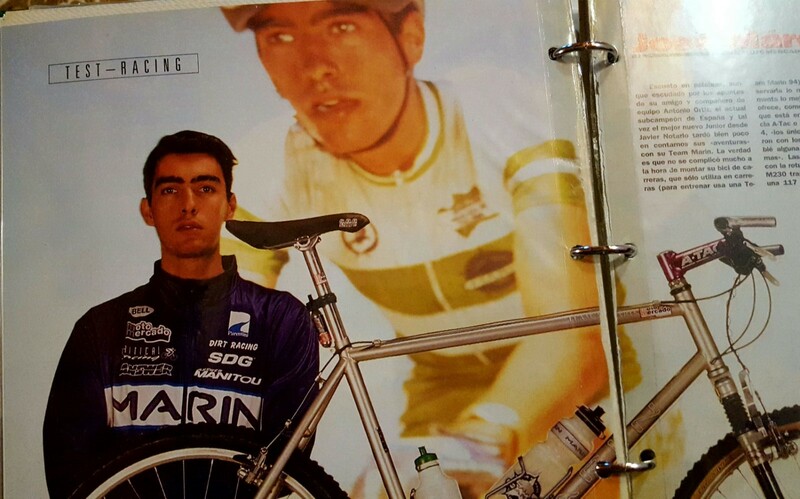 Yari: How and when did you started on cycling? 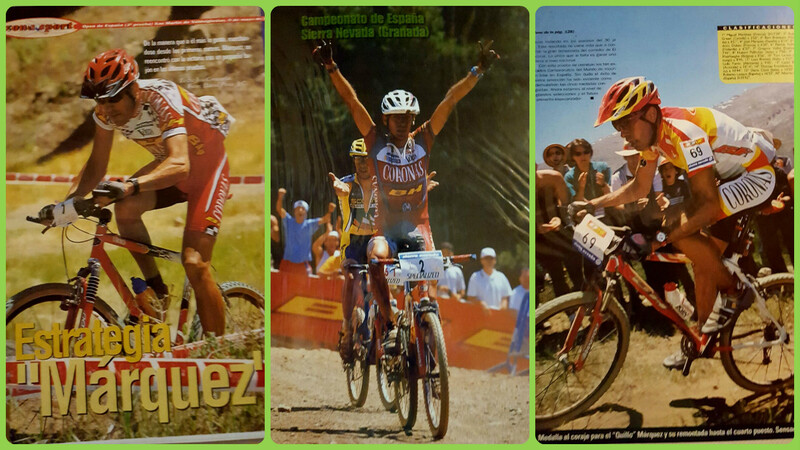 Quillo: There was a MTB boom early in the 90’s, I tried and I liked. 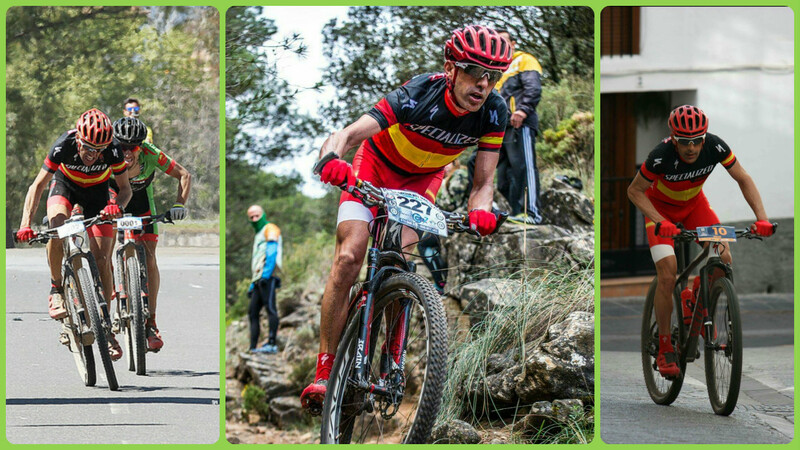 So I started doing local races, later in Andalucia area, Spain and suddenly I was at world class level. Yari: How was and is competing at world level? Quillo: Well, really I never believed that I was going to end up winning so many titles. I only feel gutted for not getting on the Olimpics team. Yari: You still compete? With team you are riding for? Quillo: Yes, I’m still competing, on XMC races and I’m pretty happy with the results these last years. I don’t belong to any tema, I compete for the fun of it. But some sponsors are Specialized, C.D. Quillo Márquez, Ojen city council, Nutrisport y the main sponsor is my dearest wife. Thanks to her I’m having such good results. Yari: Which race, from the ones you’ve participated, consider the thoughest? 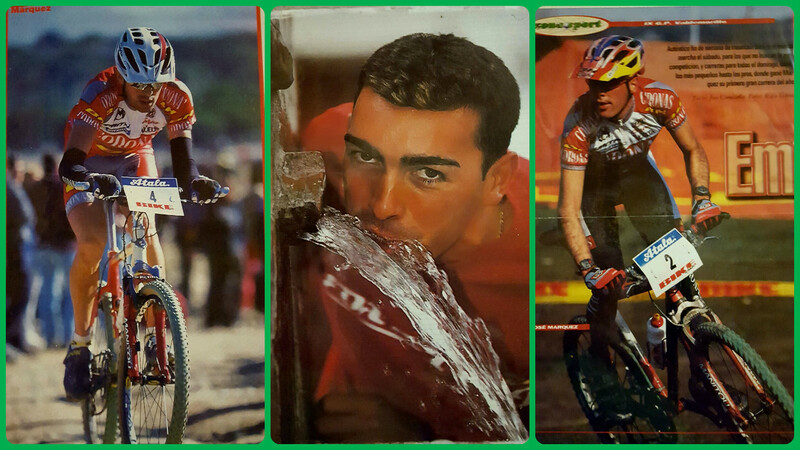 Quillo: Mainly WC races but also European and Spanish championships. There are one days races, where you need to be at your 100%, train for several months for one day and anything can happen. Yari: So far which is the race from which you keep the best memories? 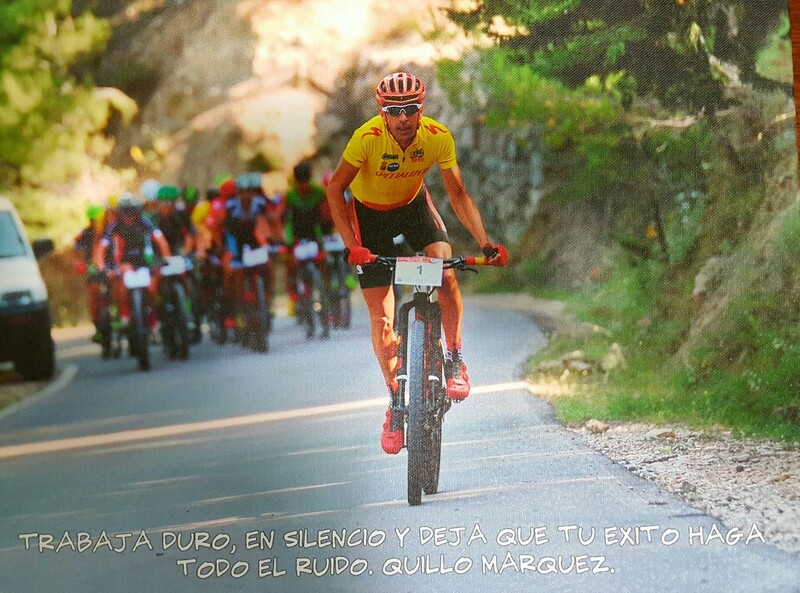 Quillo: Sierra Nevada WC in 2000, despite having done the race of my life, I was not included on the spanish olimpic team. 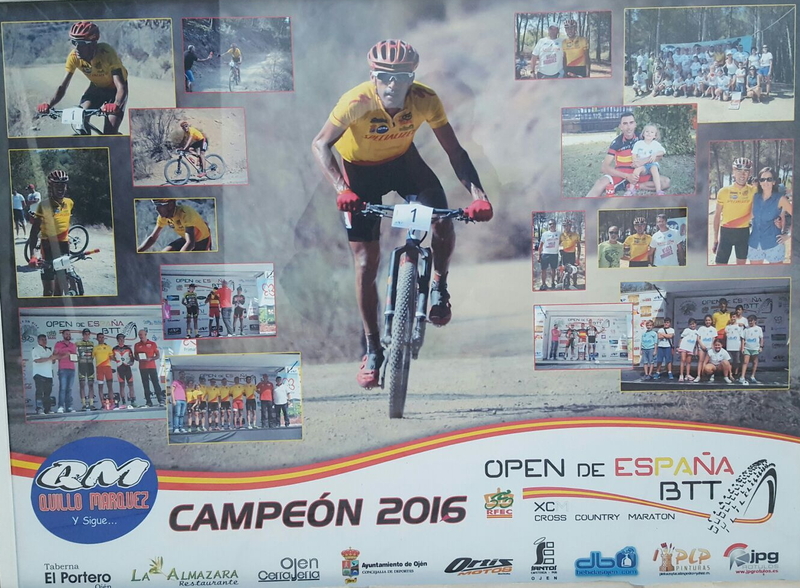 Also my last win on the Spanish XCM championship on elite category in 2015, with 39 years. Yari: And the worst memories? Yari: Do you have some kind of amulet or obsession when racing? Yari: Which are your strong points? Yari: ¿Which bike do you use right now? Yari: ¿26, 27.5″, 27.5+ o 29? What’s your opinion, which one fits you better? Quillo: I believe is all marketing, you need to keep the market moving. If your are on good shape, you will be fast with any bike or wheel. For me the most important is to be well trained. Yari: And who, throughout your career, have impressed or inspired you more? Quillo: Nino Schurter, he wins everything. 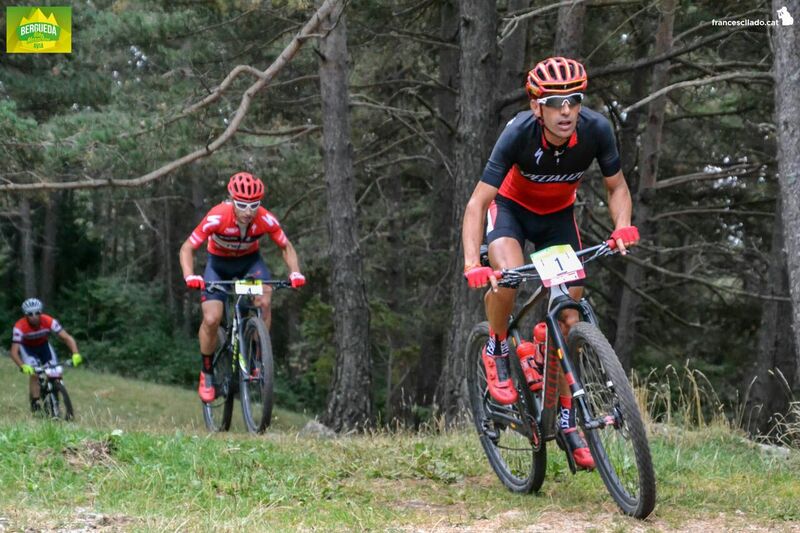 And for the years he has been racing and how he has adapted to the new race tracks, Julien Absalon. Yari: Do you do an specific training, could you briefly describe it? Quillo: I just ride because I enjoy it, I don’t have a specific training. If and important race is coming I just do more intense routes. Yari: Which would be your preferred location to ride? Yari: When at home, how and where do you usually train? Quillo: I usually ride 4 days on my road bike and 3 days on the MTB. You will find me riding nearby Ojen with the MTB, and with the road bike all around Sierra de las Nieves mountain range. Yari: What do you think about these enduro races fever, would you race one? 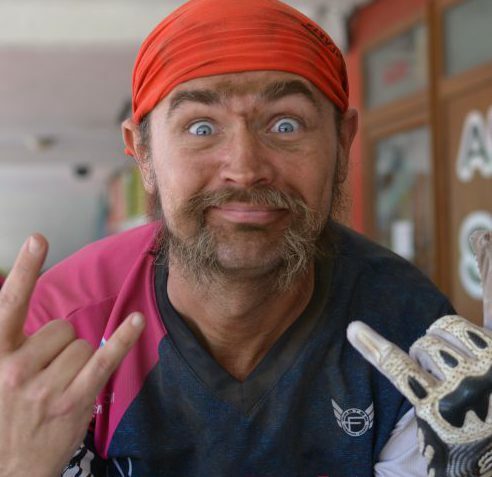 Yari: What’s your opinion on the current and future of MTB in Spain? Quillo: To tell you the truth, I don’t see a clear future, there is no young blood to replace our generation that has been riding for 20 years already. There are no new promises or new teams. Yari: How do you collaborate to increase MTB awareness? Quillo: Spanich cycling federation needs to invest more money on the youngsters, races and equipment. Yari: What advices would you give to anyone starting cycling in general? Quillo: Just go out and enjoy yourself. Yari: To help us to enjoy more our rides what setup of advice for our bikes would you recommend or advice? Quillo: I don’t want to be repetitive, but the most important is to enjoy the sport, ride with a group of similar level, just for the love of the sport. Everything else will come by itself. Yari: Tell us about what you do when you are not racing. Quillo: Out of racing, not so much, spend as much time as possible with the family. Yari: What music are you listening righ now? Quillo: I like all kind of music. Yari: A preferred movie or serie? Quillo: None that I can think about. Yari: Preferred food, when you can choose it? Yari: What do you expect from the future? Quillo: Don’t really know, fate will say. So far, just keep enjoying this sport and riding as much as possible. Thanks for your time Quillo! !